It's a midweek and the games keep on coming, as once again T Storey, G Rottensteiner, A Volkers and S Collier have been teasing their latest games that are still being worked on for the C64. Unlike our usual write ups containing just one title to be talked about, this one gives a hearty mention to both Soulless 2 : The Armour of the Gods, and Organism, which have both been shown off as very short gameplay snippets. 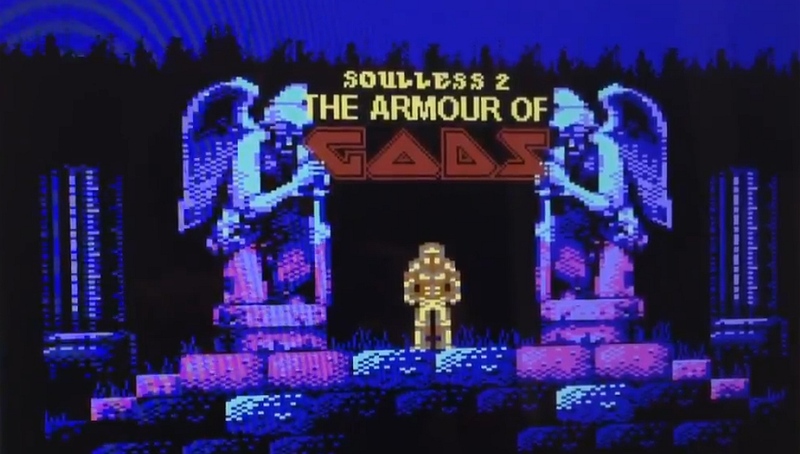 The first footage although very short, give us a glimpse in to some of the deadly traps found in Soulless 2, with one such nasty surprise being these powerful dragon heads that come out of the sides to take a nasty bite. Other than that there's not much to show, so now we move on to Organism which was only recently announced and has come along in such a way, it even features multiple graphical rooms, animation, a work in progress title screen and even music! Just as with the case of Legend of Atlantis we are unsure as to a release date as there is still a lot of work that needs to be done, however we can tell you that once again sound effects will be done by Saul Cross and overall both of these games are about 80% finished. So keep watching this space gamers, as 2017 may be the best year yet for the C64!